Gamer Nation Studios will be publishing a new American fantasy RPG game entitled Tall Tales. Gamer Nation Studios has announced that they will publish a new role-playing game titled "Tall Tales" by new Managing Designer Jay Little. "Tall Tales" will use the new Triple Threat System, a narrative die rolling system designed to be flexible, fun and fast. The Triple Threat System has been in development for over 4 years under the guidance of Jay Little and is currently in play testing. "Tall Tales" is set in the American Frontier that never quite was, where folklore and legend fueled the stories of Paul Bunyan and Babe the Blue Ox, Pecos Bill and the King of the Wild Frontier, Davy Crocket. Players will build their American Heroes to join the fray against varmints and critters as well as villains led by the Commodore of Crime, Cornelius Vadnerbilt. Tall Tales is billed as a yard spinnin' game and relies on players' fame and notoriety to establish themselves as true American Heroes. Refer to the game website at http://www.talltalesrpg.com or Gamer Nation Studios' site at http://www.thegamernation.org for more information. Jay Little is a veteran game designer with more than 20 years of experience in the hobby gaming industry. He’s the award-winning designer of popular games like Star Wars Edge of the Empire Roleplaying Game, Warhammer Fantasy Roleplay 3rd Edition, X-Wing Miniatures, Blood Bowl: Team Manager the Card Game, and many others, including several dozen roleplaying titles for a number of different game systems. David Villegas and Chris Witt are ENnie Award Winners for their Role Playing Podcast “The Order 66 Podcast” and are accomplished game designers as well. 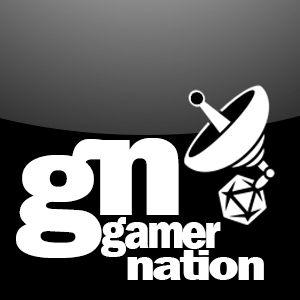 They formed Gamer Nation Studios in 2010 and produced their first game, Edition Wars in 2012, which earned an OGGIE nomination for Card Game of the Year and is an ENnie award nominee for Best Role Playing Related Product in 2013. Their second game, EONS, an astronomy-based board game, has received overwhelming praise before its Summer 2013 release.